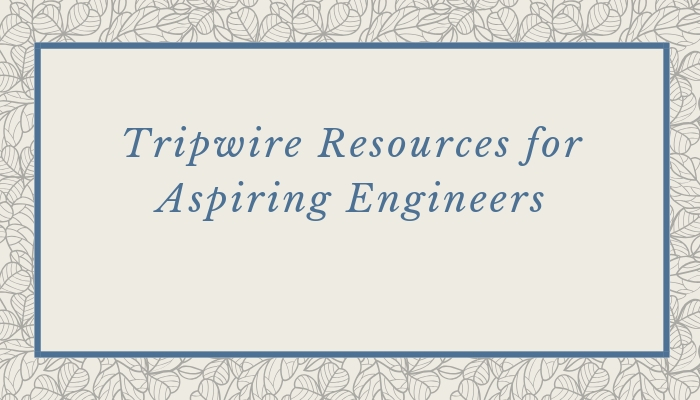 Tripwire is a leading threat detection platform used by some of the largest companies in the world, especially those that are heavily regulated by NERC-CIP. The government is a huge customer too. Therefore, it is a highly sought after skillset. The MITRE ATT&CK video is not about Tripwire functionality, but I included it because women need to understand this framework. Tripwire has MITRE ATT&CK policies as part of the platform too. No, you cannot watch these videos and get a job tomorrow as an Engineer. However, they provide a great overview of many of the features so you can at least hold an intelligent conversation, gauge whether you want to invest in training, or schedule a proof of concept. If you’ve read my book, you know that proof of concepts can be used to fire bad bosses…just in case that’s a 2019 goal. ICYMI: Tribe of Hackers was released Monday. It is a book of cybersecurity advice from 70 industry practitioners, including me! You can download the PDF for free, but you should also purchase a copy to support the charities it will benefit. Visit www.tribeofhackers.com for more details. ← Tribe of Hackers out January 28th!